In this series on small businesses and alternative lending, ChooseWhat spoke with a number of economists, lenders, and policy experts. Carl Fairbank, CEO of Breakout Capital, and Tom Sullivan, director of the Coalition for Responsible Business Finance, both spoke about what businesses seeking a loan should keep in mind as they explore alternative lending options. As the alternative lending market grows, small business owners who may not qualify for traditional bank loans have more and more choices for accessing capital. 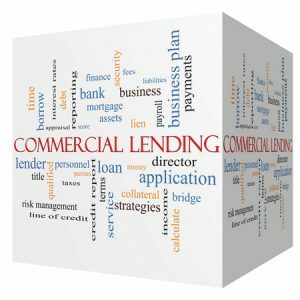 But experts in the industry from both alternative lenders themselves to economists say that businesses also need to carefully examine the products and the companies offering them before committing to a loan, cash advance, or other product. With myriad types of loans and lenders – and varying degrees of regulation overseeing them – it’s important for small business owners and entrepreneurs starting a business to take the time to ask some key questions. I spoke with Carl Fairbank, CEO of online lender Breakout Capital Finance LLC, to get an idea of what businesses should look for and what to avoid. Breakout Capital is a member of the Coalition for Responsible Business Finance (CRBF), a group whose goal is to represent non-traditional lenders, educate policymakers about online business lenders, and develop a set of best practices for alternative lenders. Fairbank says that the very first question a business owner should ask is whether the entity they’re considering working with is a lender or a broker. Honest and knowledgeable brokers can help a business find the right product. But as there’s almost no regulation for brokers, there’s little stopping a broker from steering a business owner into a product that will generate the best commission for that broker, not necessarily the best outcome for the business. Before signing any paperwork, it’s also a good idea to get a clear understanding of what your financing will cost. As the Federal Reserve small business survey showed, many small business owners are confused when it comes to the cost of an online loan or other financing solution. It’s easy to understand why – while there are many types of loans – term loans, cash advances, invoice factoring, SBA loans, to name a few – there’s not a uniform cost metric, Fairbank says. Business owners can better understand the fees they might be subject to by asking a lender or broker to explain the upfront fees – like origination or any broker fees – and prepayment discounts or penalties, as well as total payback and APR. A marketplace like Fundera can be a good resource for finding some of that information. Fundera has several business loan calculators on its site to help would-be borrowers understand the breakdown of costs for different types of loans. Just as knowing costs is important, understanding the product you’re getting is also critical. Ask what will happen in certain scenarios, including inability to repay an existing loan or refinancing. To avoid lenders that engage in “double dipping” – adding new fixed charges on existing principal – it’s OK to directly ask a potential lender whether they double dip. If they say they don’t know, Fairbank says it’s likely they do double dip, and that lender should be avoided. Groups like the CRBF, the Responsible Business Lending Coalition, and the Innovative Lending Platform Association are all vocal advocates for responsible online lending and transparency. The lenders that participate in CRBF and the Innovative Lending Platform’s SMART box (Straightforward Metrics Around Rate and Total Cost) initiative are also vocal proponents of what they call industry best practices, as is the marketplace Fundera. What does that look like? In part it’s avoiding the practices that Fairbank cautions borrowers to look out for. That means no double dipping, no aggressive sales tactics, and no lending amounts larger than a company can responsibly afford. Fairbank says his company also offers performance rewards and term improvement programs to help customers move to lower cost financing over time, either through Breakout Capital or one of that company’s lending partners. It also means helping to develop standards in the industry like the SMART box and the borrower’s bill of rights. SMART box is an effort to create a chart with standardized pricing comparisons and explanations that will help business owners understand the costs around different loan products in order to make a fully informed decision. And the borrower’s bill of rights is an effort by brokers, online lenders, credit marketplaces, and small business advocates to establish a set of responsible lending practices. “As our industry rapidly evolves, we believe it is critical to provide the tools and transparency businesses need to make informed borrowing decisions,” said Kabbage co-founder and COO Kathryn Petralia of the SMART box initiative. Kabbage is a member of the Innovative Lending Platform Association.